Pritunl is designed to have high availability with redundant systems that have automatic failover when an instance fails. 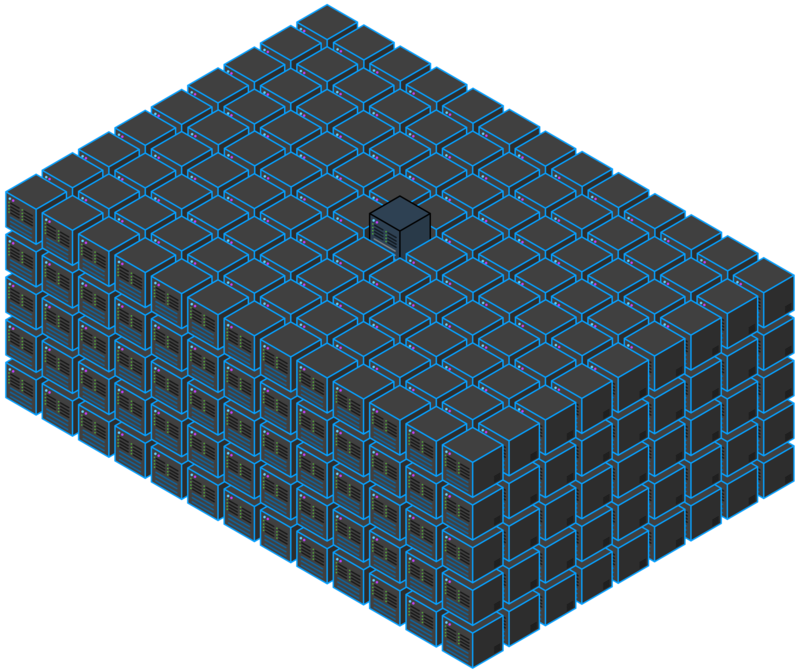 All servers are equal with no master server and can run independently in the event of other instances failing. 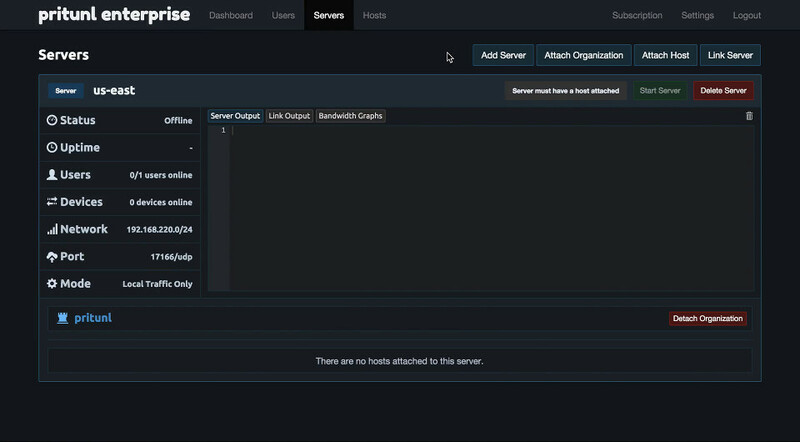 Create complex site-to-site network links without a complicated configuration. 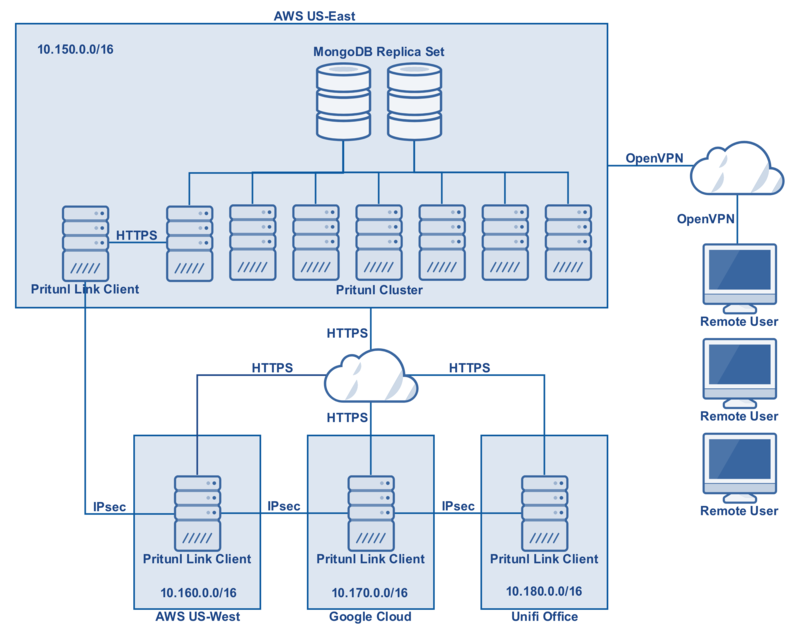 High availability design allows for redundant site-to-site links to prevent unexpected outages. Create site-to-site links with VPC peering. VPC peering available for AWS, Google Cloud and Oracle Cloud. Create hybrid cloud configurations from the cloud to local Ubiquiti Unifi networks. 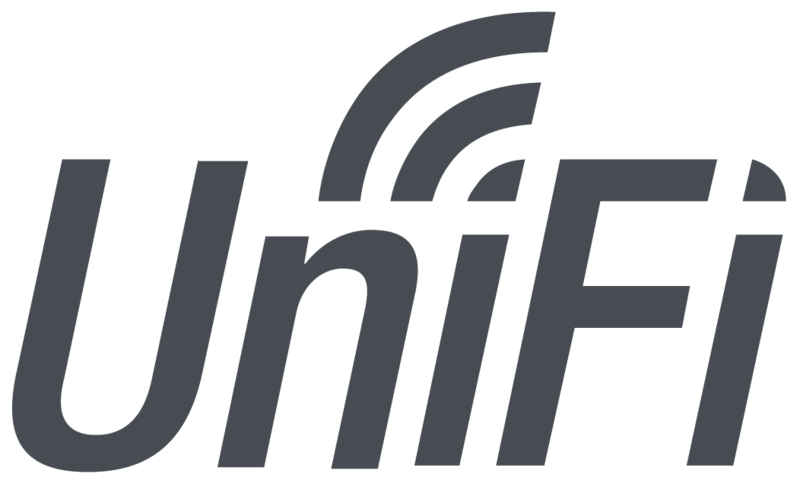 Support available for Unifi Security Gateway. 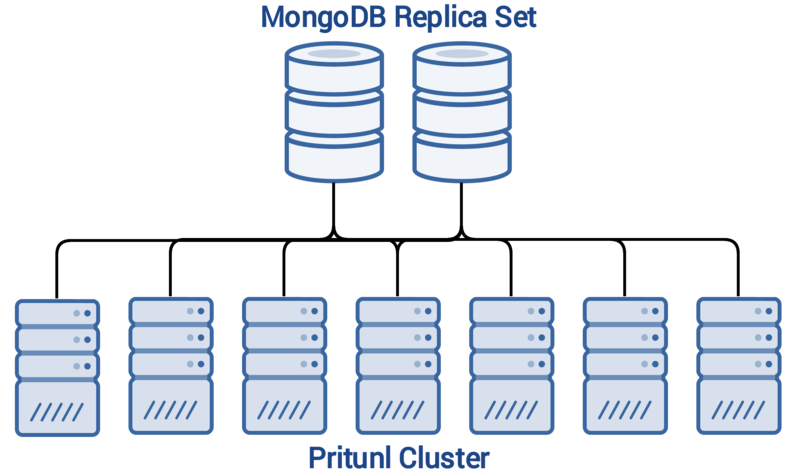 Pritunl is built on MongoDB, a reliable and scalable database that can be quickly deployed. With built in support for replication a reliable database can be setup in minutes making a Pritunl cluster deployment fast and easy. Monitor Pritunl clusters using InfluxDB with tools such as Grafana. Use gateway links to link remote networks with a VPN link client. This allows for linking networks with a VPN client when it is not practical to setup a Pritunl server. Automated failover ensures all VPN servers are running and in the event that an instance fails the VPN server will automatically be started on a healthy instance. Full support for server replication to scale clusters for thousands of concurrent users. Clients are automatically routed between replicas to maintain client-to-client communication. 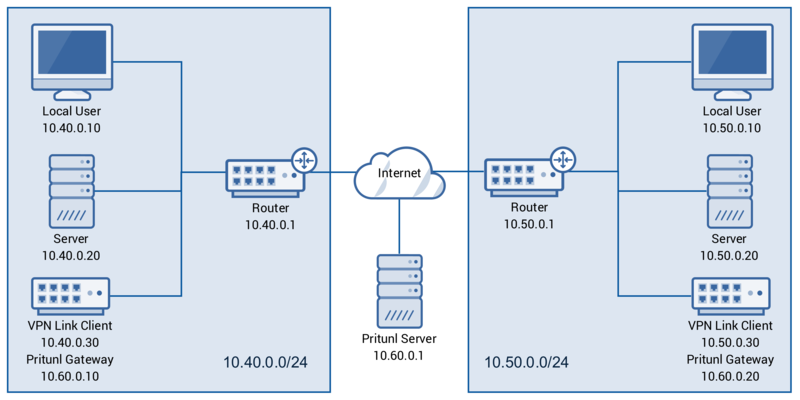 Automatic VXLan management for replication across availability zones. 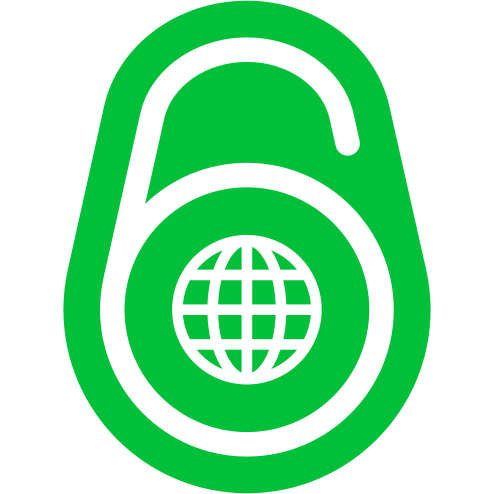 Pritunl is IPv6 compatible allowing IPv6 clients to connect to vpn servers over IPv6. Clients on IPv4 and IPv6 will also get an IPv6 address from a routed public subnet or with a private subnet using NAT. ‡ AVIATRIX and logo Reg. U.S. Pat. & Tm. Off. ‡ PULSE SECURE and logo Reg. U.S. Pat. & Tm. Off.